Google releases Waze navigation app for Windows Phones. Waze is the world's largest community-based traffic and navigation app which was acquired by Google recently. 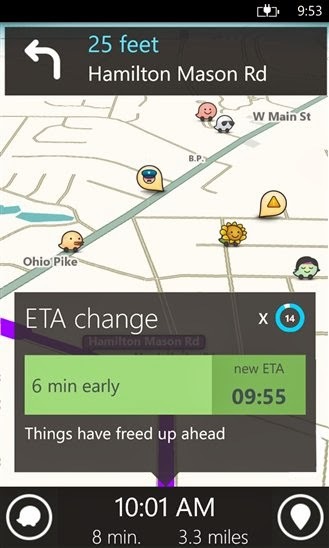 You can now download the free Waze app on the Windows Phone Store which works with Windows Phone 8 devices. Waze is a fun, community based mapping, traffic & navigation app, 60 million strong. Join forces with other drivers nearby to outsmart traffic, save time & gas money, and improve everyone's daily commute.